Eight students from my MSU Denver “Special Events Planning” class planned a Wild West themed trivia night! 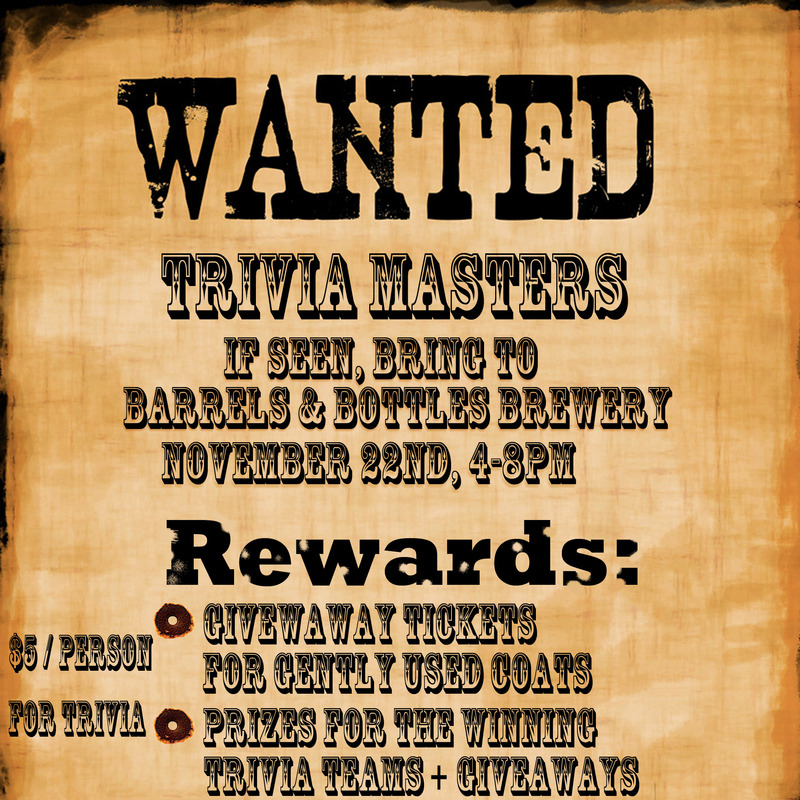 Will be held at Barrels & Bottles Brewery, Golden, CO, next weekend (Saturday, November 22, 5-8pm). 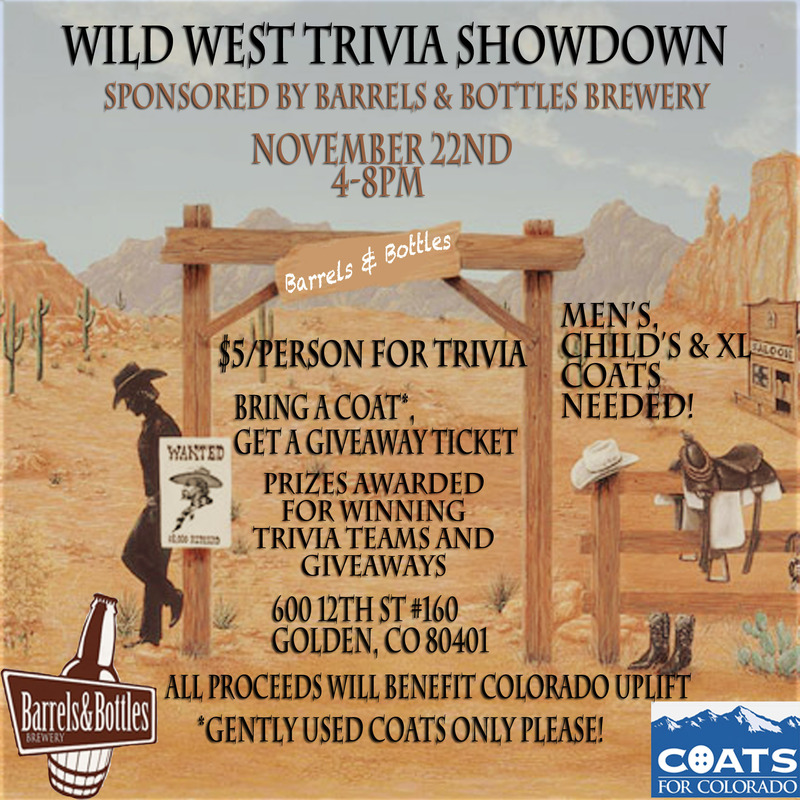 Proceeds from the $5 trivia fee will go towards the students of Colorado Uplift. We are also collecting coats (especially children’s and large/XXL men’s sizes) for Coats for Colorado. Bring a coat and receive an entry to win a prize package from local vendors! There are over 20 prizes available to win, so bring your friends and we hope to see you on Saturday.